Take a second and think about 2017. Did it all go according to plan? Chances are, there are at least a few portions of the past year that could have gone a little smoother. If your 2017 review has a few rough edges, step up now and take action to ensure 2018 doesn’t follow that pattern. You can start with a few slam-dunk victories, like identifying a new skill and mastering it. Learning to code is still on many of our to-do lists, so cross it off with gusto when you pick up this Learn to Code 2018 bundle of courses. Best of all, you can get it right now by paying any price you’d like to pay. The education begins when you pay any amount at all. That’ll get you the Introduction to R Programming Course, a complete user’s guide to R Programming, which stands as one of the most versatile coding languages in a developer’s arsenal. 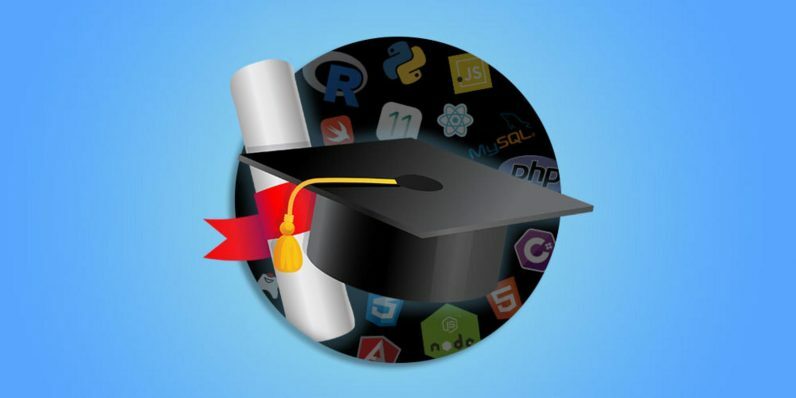 However, it’s only the tip of the programming iceberg, so once you commit to match the average paid by other students like you, you’ll gain instant access to nine more courses that’ll help round out your coding education. With nearly $1,500 in training, you’ll be able to open 2018 with a cool new website of your own creation. Or just market your new-found skills to the ravenous clients. You can get all that for basically any total you’d like to pay while this deal lasts.